Why should I create a family health history? 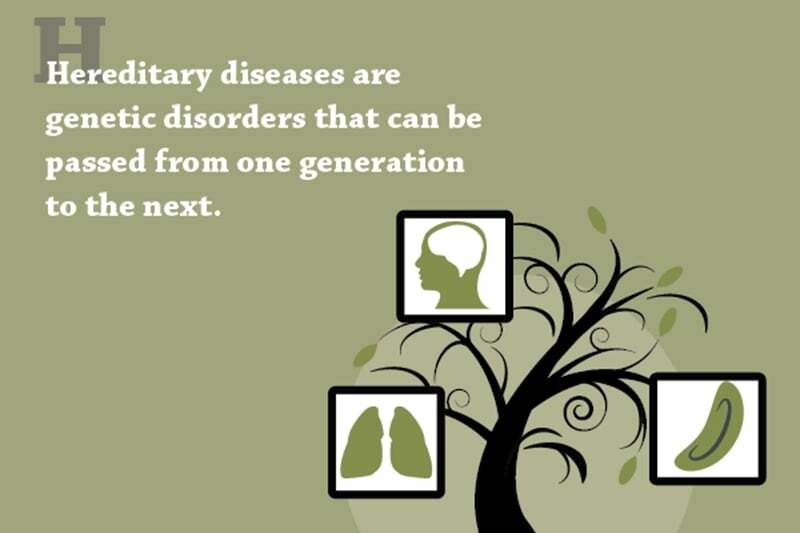 Hereditary diseases are genetic disorders that can be passed from one generation to the next. According to the World Health Organization, some of the most common hereditary diseases include Huntington’s Disease, Cystic Fibrosis, Sickle Cell Anemia and Haemophilia. Additionally, some cancers are caused by faulty genes, which can be a hereditary trait, according to the Cancer Support Community. Creating a family health history will help you track certain conditions. While tracking the prevalence of these diseases throughout your family history won’t prevent your kids and grandchildren from inheriting the genetic mutations, it can give them enough information to take the necessary precautions. For example, have you or your mother had breast cancer? By letting your kids and grandkids know, they may be encouraged to frequently visit their doctors, increasing the chances of catching the cancer early. It could also give them insight on what lifestyle choices may not be best suited for their health. How do I create a family health history? Creating a family health history is essentially like creating a family tree, but you add each person’s health habits and history. For example, was your grandfather a smoker? Including this information will provide future generations with more insight about their own health risks. The Wall Street Journal recommends gathering information from at least three generations of your family. If that’s not possible, beginning the family history tree now will at least provide future generations with a head start. To actually record your family health history, consider using a digital format. Tracking the diseases online will provide a centralized location for this information that anyone in your family can access. Additionally, there are plenty of interactive tools that can make creating this health history outline even easier. However, if you decide to write it down with pen and paper, think ahead for the future. Maybe start recording the information in a book so future generations can fill in the rest of the pages. Take advantage of the extra free time during your retirement lifestyle to begin this important project.